Thirty-two years ago today, in St. Paul’s Cathedral in London, an enthralled world watched on television (about 750 million viewers!) 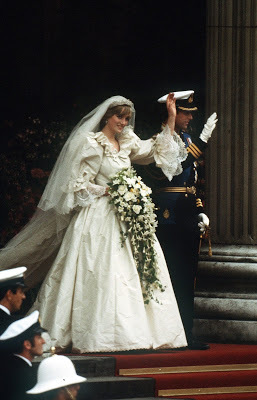 the fairytale wedding of Lady Diana Spencer and Prince Charles. 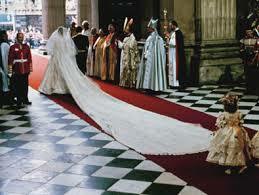 Billed as “the wedding of the century,” the elaborate nuptials set the bar for brides for many years to come. 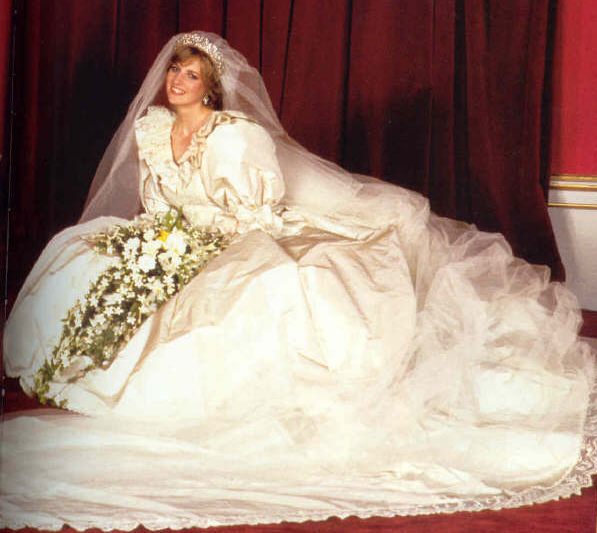 While cheap valium cod sadly the marriage did not work out and we later lost Princess Di entirely too soon, today we fondly remember the elegant, lovely lady that we all grew to love and her stunning debut to the world on the anniversary of one of the world’s most memorable weddings. We love wedding photos! 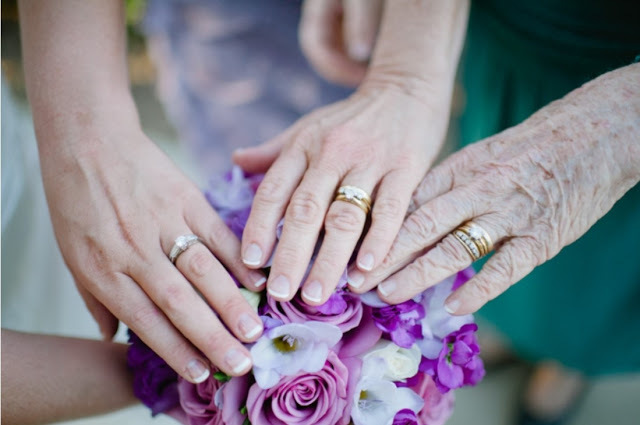 They preserve a couple’s history, offer a glimpse of a moment in time and help tell a story. When we stumble upon a wedding day photo that we think is fun, unique or particularly special, we file it away for a rainy day. Well, it’s raining this morning, so we thought we’d pull a few out to offer you a bit of sunshine today! We hope you will be inspired! 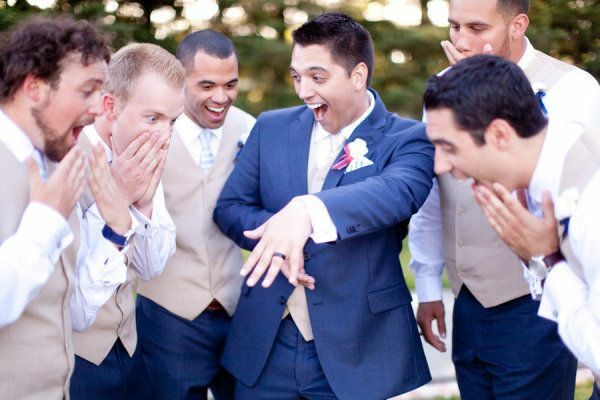 We’ve all seen the ubiquitous ring shot, where the bridesmaids are ooohing and aaaahing the bride’s ring. This funny twist featuring the fellas made us giggle! 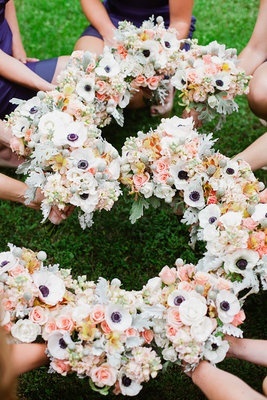 Cute idea – have your bridesmaids make your new last name initial with their bouquets. Could make a cute photo for your new home, especially if you love monograms and such! Cute, different and whimsical! 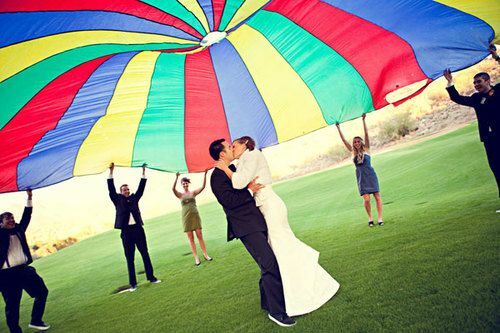 Who wouldn’t be happy playing under a rainbow parachute?! Brings back a bit of nostalgia, too! We think this is darling! Have each of your ‘maids write how they know you or where you met for a cute pic. 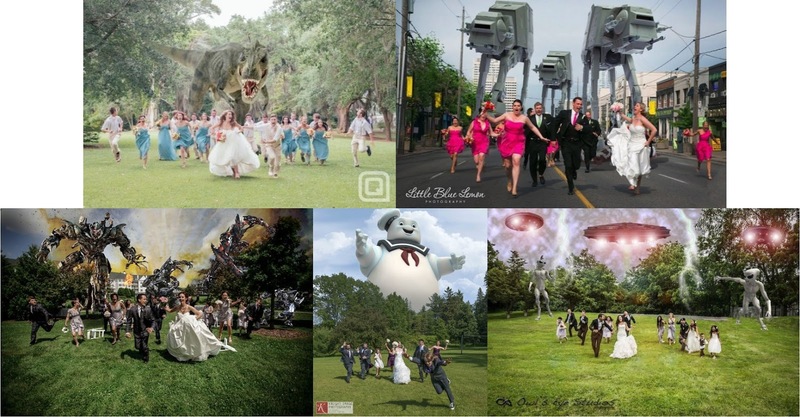 Surely you have all seen this crazy trend – wedding day invasion shots! The photographer shoots a pic of the wedding party running for their lives and later Photoshops in the whatever they are running from. Campy! There are several fun things you and your girls can make with your hands. 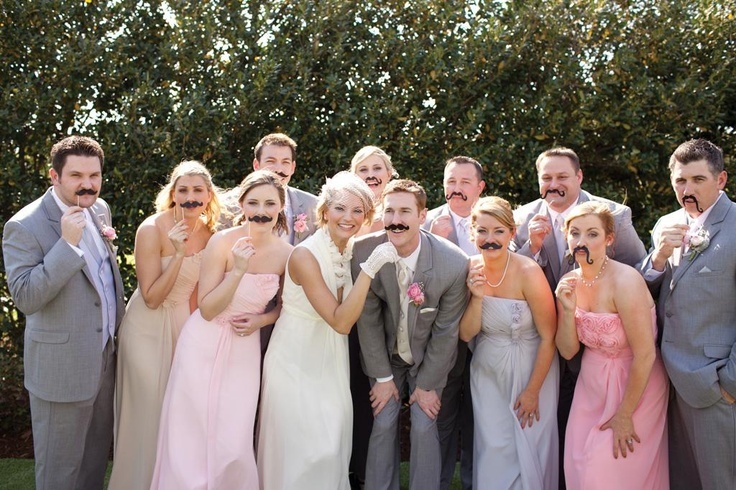 We would be remiss to not include a shot of a stylish wedding party rockin’ the ‘stache! Very sweet three generations shot – the hands of the bride, her mother and her grandmother. What a keepsake! Last photo for today, and while this isn’t a wedding day pic (or even one pic, for that matter), we just LOVE this and had to include it! This would be great to do during an engagement shoot! Beautiful! Yes, it’s true! Kate Middleton is in labor and at the hospital! All eyes on are on London as the world awaits with baited breath announcement of the new royal baby. We are just as excited as everyone for the Duke and Duchess of Cambridge and can’t wait for the news of the prince or princess’s birth! The elegant Kate Middleton has been a beacon of style and grace throughout her pregnancy (just as she has always been and was as a bride!) and proof that baby bumps can be glamorous. With that, we bring you an Ask the Stylist question that we get a lot and are happy to answer! Q: I just found out that two of my five bridesmaids are pregnant! While I am very excited for them, I am a little worried about what kind of bridesmaid dresses I can now choose for my girls. My wedding is not for several more months, so they will both be quite far along. What are my options to accommodate my friends’ baby bumps but allow the whole bridal party to be cute and cohesive? they are flattering on all figures, even those sporting a bump. Chiffon is the most flattering fabric when it comes to a baby bump. 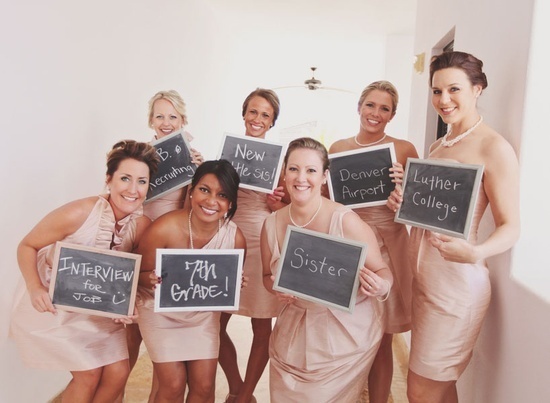 Once we determine the basics with our bride, we talk with the expectant bridesmaid(s) to determine how far along they will be at the time of the wedding, which is definitely important to consider when ordering. Sometimes the momma-to-be will need to order extra fabric for the lining and/or the exterior of the gown to add panels. These panels can be added during the alterations process to help the dress fit better and make the gown more comfortable. We always suggest ordering extra length, as well. Dresses are made for ladies that are 5’8”5’9” and a baby bump will cause the dress to ride up in the front. 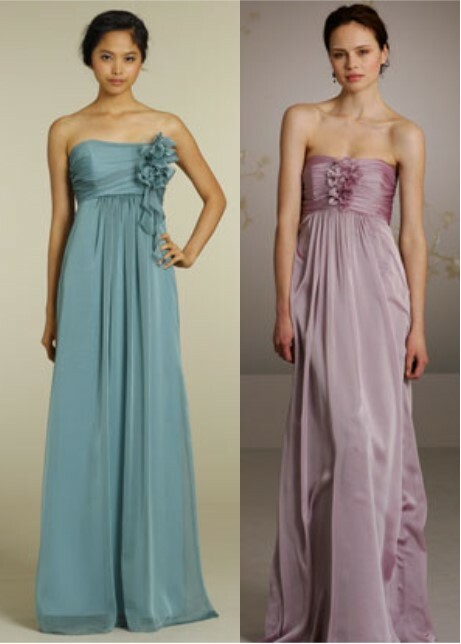 The additional cost is worth it to keep your gown the proper length and matching the rest of the bridesmaids. 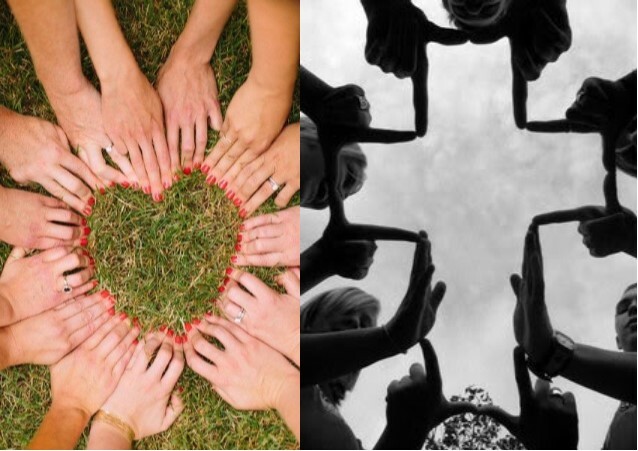 Here is a great example of how this can all come together! 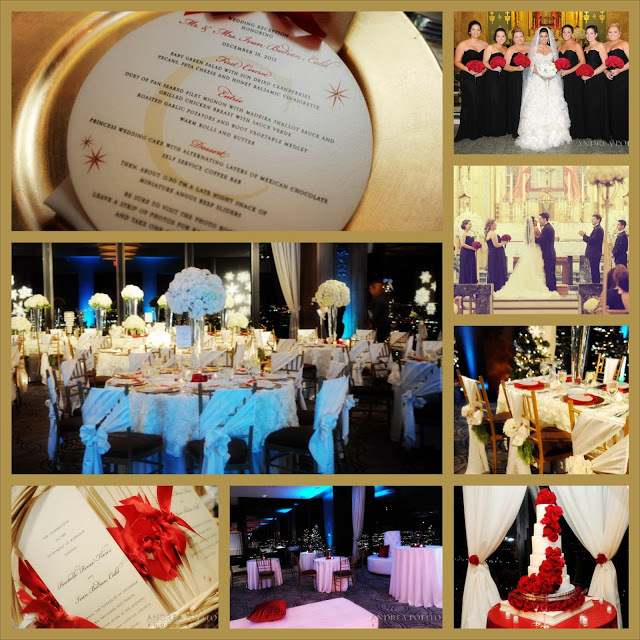 We not only planned this wedding but also styled/dress the wedding party. These ‘maids are wearing dresses by Jim Hjelm Occasions and Alvina Valenta; image courtesy of Joseph Mark. The ladies in this beautiful bridal party were give some basic parameters by the bride but were able to choose their own gowns. Bride Lauren asked the girls to choose a floor-length gown in a specific fabric and color offered by two different collections under the JLM Couture Brand. Two of the bridesmaids were pregnant in this party, as well, and they were able to select empire waist gowns that flattered their bumps and allowed them to still look fabulous. The bridal party’s look is beautiful, elegant and cohesive – simply perfect! 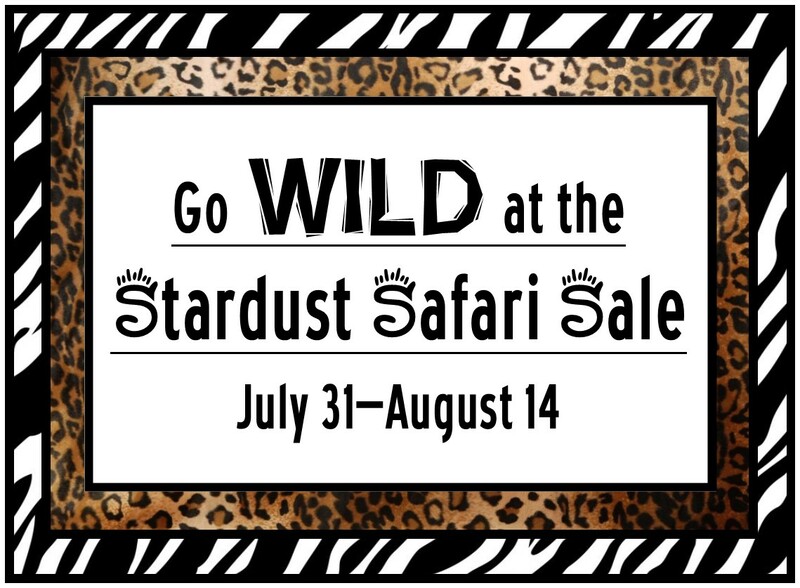 Join Stardust Celebrationsand LuLu’s Bridal Boutique for our Annual Clearance Sale. Both stores will offer clearance gowns to be sold off the rack, other gown discounts and 30-75% off of specially priced merchandise offered at Stardust!